592T-RB-DST is rated 3.8 out of 5 by 17. Rated 4 out of 5 by Sue from Beautiful faucet I love my new touchless Delta Addison faucet. It's quite heavy for it's size and not at all made from flimsy materials. So far we haven't had any of the issues that other reviewers have had. Water turns on and off as advertised...using the handle, or touching it or in proximity. My only minor issue is that I've been surprised a few times when it turned on unexpectedly when I got too close to it by accident. I'm sure I'll adjust to the location of the proximity sensor. 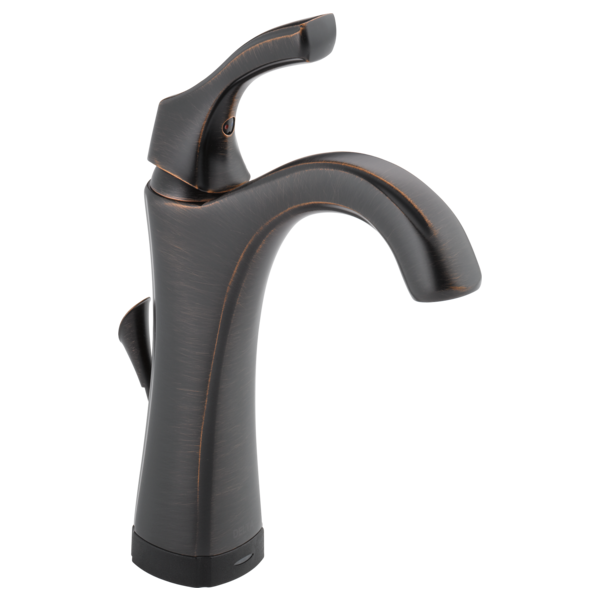 Rated 5 out of 5 by Sue from Beautiful faucet This faucet is more beautiful and sturdier than I expected. It's very heavy and well made. I'm happy that I chose the touchless model so I don't have to worry about fingerprints on the chrome finish. I also like that I can go 'touchless' or 'one touch' to turn on/off. Rated 5 out of 5 by Kathy55 from Just what I wanted! This faucet installed easily! It is sleek and easy to keep clean. I love the touch technology so much I am going to replace my kitchen sink faucet next! Of course it will be a Delta Touch20.xt! The service from Delta couldn't have been better. There was a broken pop-up lever in the package and with one quick phone call I received a replacement at no charge. 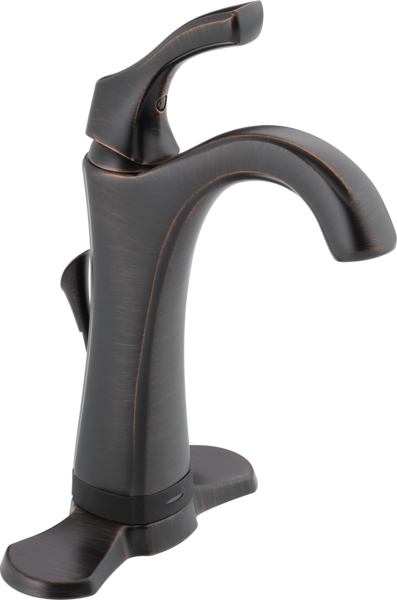 Rated 2 out of 5 by ms9003 from Very nice faucets - when they are working. 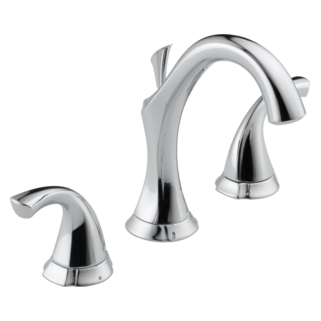 We enjoyed the touch feature on our Addison style kitchen faucet so much that about 4 years ago we bought 5 of the 592T-SS-DST's for the bathroom sinks in our house. We like those too, when they are working. 2 to 3 times per year, something goes wrong with one of the vanity faucets. I have to clear out the vanity cabinet and crawl under the sink to troubleshoot the issue. I put everything back, call Delta and they are very good about sending out new parts under warranty. About a week later, I have to repeat the under-the-sink ritual to install the new parts. For the record, some units have failed multiple times, one has never failed. There is not a clear correlation between failures and frequency of use. Almost all failures are related to the solenoid valve assembly, failure to open or close, self-cycling, not switching the indicator light, and leaking, have all occurred. I thought the newer style solenoids would be a great fix, and some features are better, but two of them have failed already this year, one locked up, and one leaking. First time installations are a bit intimidating. Subsequent installations and repairs are awkward. I'm not a plumber but I am a mechanical engineer who has done design, maintenance and repair of piping systems of many types. The challenge with these faucets is that so much stuff has to be crammed into very limited space. Instead of nice clean arrangements and alignments, things have to be forced to fit in the space available, requiring some creativity and compromise. 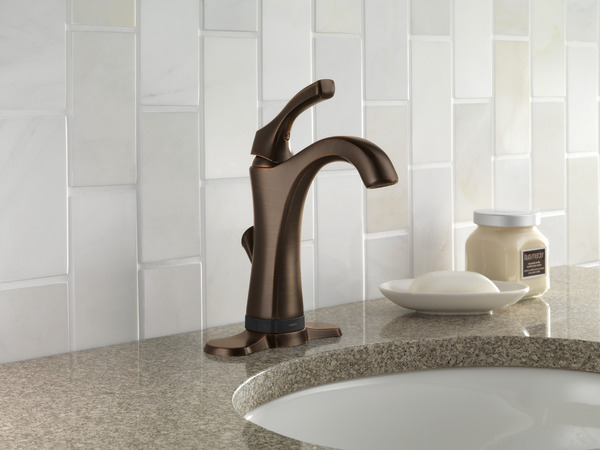 The materials used in the faucets and connecting plumbing are appropriate, strong and well designed for an assembly that must fit in diverse installation geometries. It's a shame that the part that switches the flow on and off, that's the key "wow" feature of these units, has very poor reliability. I've managed to keep all my faucets operating most of the time, in spite of frequent part failures, thanks to the good response and warranty support from the Delta Customer Service team. I'm not sure what I will do when my warranty runs out. 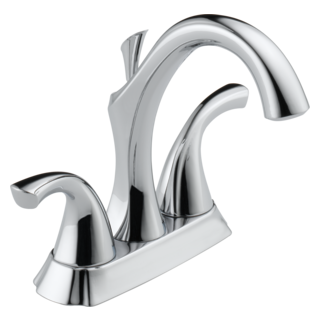 Rated 3 out of 5 by myfaucet from Electronic valve not so useful The touch sense is marginally useful and after having it for a couple of years I don't think it's worth the additional cost or hassle. Especially when it stops working. The solenoid has now failed. A perfectly good faucet but it doesn't work because of a fancy and not really useful feature. I thought I'll just bypass the electronic valve and connect the two hoses directly, but my fittings are different! Not like it shows in the current directions. After fiddling with the valve and reading the troubleshooting I found I could get the solenoid to open by turning off the water supply, apply power to the valve, open the faucet, turn on the supply and then disconnect the power to the valve. This opens the electronic valve and it stays open. Thankfully the faucet now works like a normal faucet. Rated 4 out of 5 by Secondtimeuser from Recommend with reservation This is my second Addison Single handle Touch2O.xt faucet. Since the first one worked well for nearly 3 years (with a little wire tweaking), I decided to have another installed when we moved. This one hasn't been quite so good. The stopper pull broke the first time it was raised. I got the contractor to replace it for free but I'm not confident enough to use it again. The plastic seems flimsy. Also, it is too easy to switch from touchless to touch and I prefer the latter. The information to change it back is not on the paperwork or on the website. Even doing a search nets nothing. Since it is an intrinsic feature, it should be part of the basic Quick Start Guide. 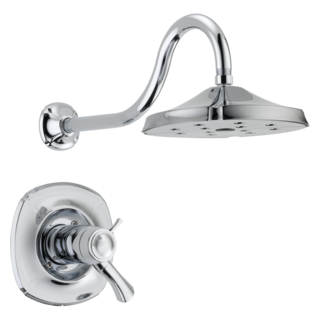 Rated 5 out of 5 by Pisc3 from Love our Addison Faucets We love our Addison Touch faucets, and Addison shower assemblies, towel racks, etc. The style is modern and attractive. Just wish they made a matching floor mount tub filler. do you have aerators/flow restrictors to make it a 0.5gpm fixture? What is the recommended mounting hole diameter to be drilled in our new quartz counter top? I couldn't find this info on the instruction sheet. I just installed two of these faucets and the indicator light is not working on one faucet. How do I fix this? These are new faucets that I just purchased. The on/off function works as it is supposed to. Will proximity work with a vessel sink? When using the touch20.xt feature, how is the temperature controlled? The Touch20.XT feature turns on or off the flow of water. How does one control the temperature of the flowing water? Is there a scalding risk? Does the flow stop as soon as you move your hands away?